Oh wow!! congratulations Vidya..I don wanna use ji cause its making it so formal ;)This post is all the more motivating to me..given that am a lazy person too.At times I feel that I may not be persistant with my blog.But people at home encourage me a lot,which makes me feel that I should atleast do justice to their encouragement. Congratulations, Vidya! You have an awesome blog! 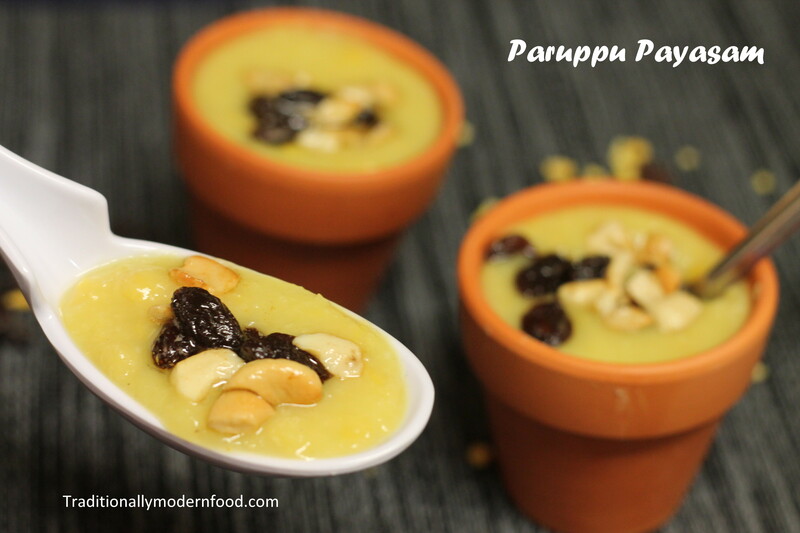 Love the payasam recipe. 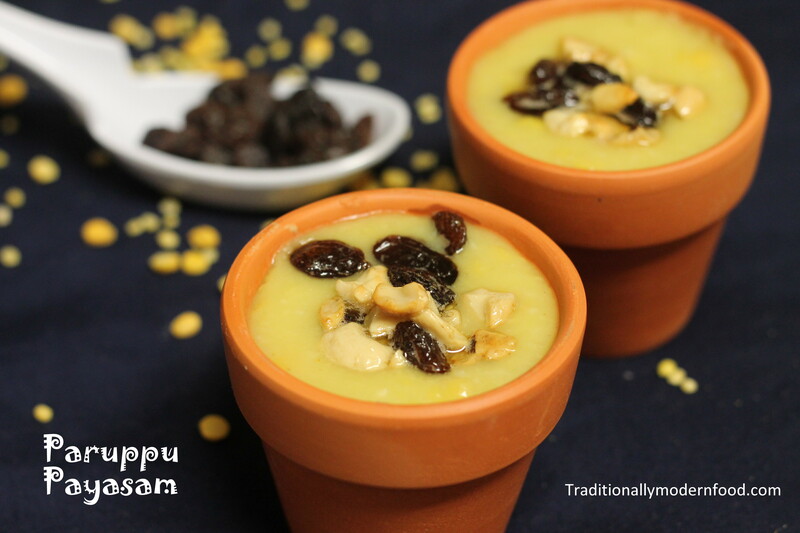 I make a traditional kheer very similar to this with just chana dal. I love the coconut and jaggery flavor in it! Congratulations on your anniversary! You have done a great job with your blog and I hope you continue your journey for a long time. Cheers 🙂 …. and the payasam looks yummy! Yummy payasam!! Love the cute little tumblers!! Congratulations, Vidya, on making the transition to the hosted site. I registered my domain ages ago but am lazy and not blogging there. Hopefully your move will inspire me. Awww, that’s so sweet ❤ Congrats girl. Yay, Happy bloggiversary dear 😀 Many more to come!!! That is a great news on the domain. I was just thinking of talking to you about this as you had mentioned earlier and here it is 🙂 Glad to see. 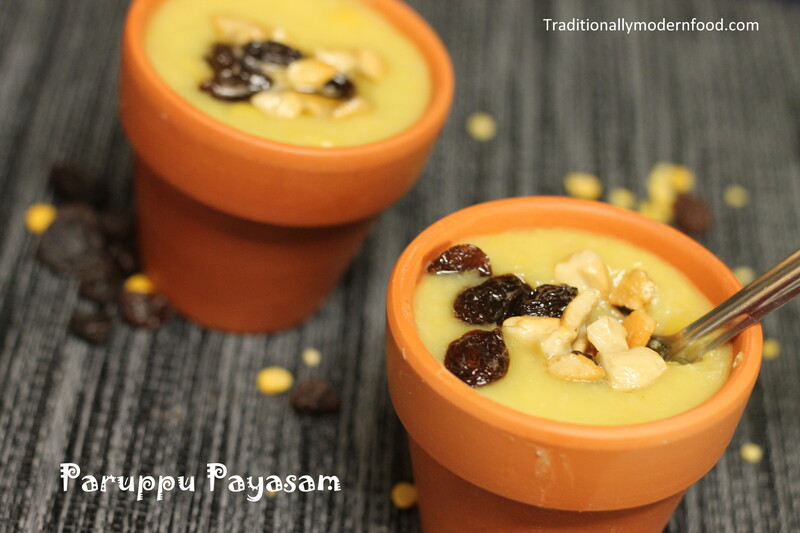 Payasam looks so vibrant and colorful….